Before we dive into this Oakley Radarlock Path Review (using the Polished Black with Black Iridium below), I’ve a confession. I am a rusted on, unabashed Oakley fan. Way back in the mid 90s, I bought my first pair of Oakleys – a crystal blue set of M Frames. Those suckers were way cool back then (when everyone still wore Frogskins) and supported my golfing obsession (those bad boys were great for picking the line on putts). Those M Frames lasted me 12 years before a truck smashed into me whilst cycling and snapped them. Oakley replaced a smashed 12 year old pair of sunglasses with a brand new pair of M Frames for the cost of a lens. That’s how good this brand is. The Oakley Radarlocks have been released with much fanfare about the Switchlock technology and on the surface, they’re a great idea. 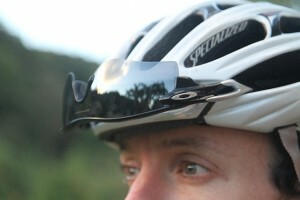 Allowing simple, easy lens switching is a good idea given that many of Oakleys sunglasses now ship with spare lenses. In the past, you basically needed to wrangle your lenses out, which Oakley says leads to lens distortions and as a consequence, sub-optimal optics. I’ve come close to snapping my M Frames a couple of times, trying to wrangle the lenses in so Switchlock should theoretically help prevent this. The lenses are swapped out by closing the left arm (the left side, as you wear the glasses), releasing a hinge, and popping the lenses out (more on this later). Initially, the Switchlock is a bit fiddly as the instructions don’t make it 100% clear how to pop the lenses out. To be fair, it’s hard to properly convey the process via drawings (a cool little Oakley video, with a link from the instructions to the video, might do the trick). After releasing the lock (which is easy), you need to squeeze the plastic part of the nose bridge together lightly at the end (i.e. where the gap is the widest). Then, move the nose bridge flange (that comes out in front of the lens to hold it in place) to behind the lens. Do that on both sides of the nose bridge and the lens should come clear. It’s a little bid fiddlier than I expected, and you might get some fingerprints on your lenses until you become accustomed to it at which point it becomes a simple process – probably not as simple as Jawbones (now replaced by Racing Jackets – read my Oakley Racing Jacket review). Here’s a quick video I made, showing how to do it. If there’s one thing you can say about Oakley – their glasses are ridiculously high quality. Both the optical and construction quality put nearly all other brands to shame. I’ve never broken a pair through normal use and I’ve owned 6 different pairs in 17 years. They’re light but feel very robust. I’ve seen a few comments before about Oakley nose assemblies (aka “nose bombs”). Some people like the plastic-only construction of the Jawbone nose bombs (this is now fixed on the Jawbone replacement Racing Jackets – read my Oakley Racing Jacket review) , and others like the rubber nose-bomb inserts present on the Radars, Radarlocks, M Frames and others. I’m in two minds here. On one hand, the rubber stops the glasses slipping down the nose (something the rubber arm grips should do on the Jawbones, but sometimes don’t). On the other hand, the rubber nose bombs have a tendency to become looser over time (through the pulling-off action when you take the glasses off, and other travails of sunglasses-wearing action) and can fall off. I reckon I have lost about half a dozen nose bombs from my M Frames – they are expensive to replace. 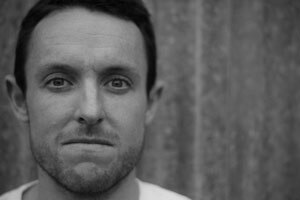 However, Oakley seem to have addressed that issue with a new design with better hooks on the nose bomb assembly. It’s actually hard to remove the rubber nose bombs now (which is a good thing). The Radarlock Paths fit my head perfectly (I am a M size helmet). They’re light, will fit a range of head sizes (the arms are slightly flexy) and they just get out of the way (a function of really great design). An important consideration for cycling sunglasses is unobstructed vision. With the Oakley Jawbones for instance, because of the thick lens frame, I find the bottom (bottom right for right eye, and bottom left for left eye) peripheral view is obstructed when quickly flicking a look over your shoulder. Obviously this is potentially problematic in races but for casual rides isn’t such an issue. The Radarlocks (and Radars) have no such problem and offer clear unobstructed peripheral views. Straight-on optics are beautiful with clear and crisp vision and of course reduced light transmission. I live on the far north coast of NSW near Byron Bay with lots of sun glare, so these particular lenses are great, even in winter. Dappled light (i.e. as I move through shadow/light in forests) is an issue but that would be the same for any set of sunglasses. An all important thing I like to check is “do these fit in the helmet vents?”. We all know how EuroPro it is to wack our sunnies on our helmets (upside down – just like the pros) as we charge uphill or cruise for a coffee. These fit in the vents on a Specialized SWorks 2D. They’ve a similar footprint to standard Radar Paths, so, if you have Paths and they fit your helmet, then you’ll be sweet. Judging by the number of pros wearing them in the 2012 TDF, and the many-varied types of helmets, and pros’ propensity to wear them upside down in their vents, you’ll be fine fitting these into most helmets (maybe not with the crazy Catlike Whispers). When you pull them out of the vents, or put them in, the arms have a bit of give, so there’s little chance of them snapping. There’s a 15% screamer downhill near my place that’s perfect for testing whether sunglasses prevent high-speed (80km/h+), wind-induced, watery eyes. This is important because if you’re heading over to Europe to the big mountains, you want sunnies that prevent watery eyes on the fast (fast!) descents (Ventoux, 90km/h). I tested these into a cold South Pacific southerly block headwind at 80km/h descend speed. Result? Slight watery-ness. More tears than M Frames, but still, perfectly acceptable. 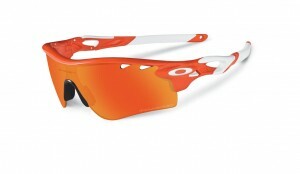 (I’d love to test some Jawbones in this regard, hint hint Oakley). In other words: these will largely prevent tears on a Galibier descent. As always, there are a bevy of lens and frame options, including my favourite: polarized vented lenses. I LOVE vented lenses as they suit cold weather – no foggy lenses at traffic light or coffee stops! I consider Polarized lenses a MUST where I ride in northern NSW – the light in summer is harsh and the Polarized lenses are great for the eyes. As for lenses, check out these Blood Orange/Fire Iridium Polarized Vented Paths. I reckon these are great value. They can be had for around AUD$300, and cheaper if you look around. Spare lens (persimmon in this case), Oakley Vault hard case, spare nose bomb, great warranty and hands down best cycling sunnies going around = great value. Remember, these should last you 5-10 years, so really, they’re very cheap. It’s hard to find fault with these apart from the instructions vis-a-vis the lens removal – this needs to be made clearer. Apart from that, what can I say. Oakley have done themselves no favours by continually putting out amazing sunglasses, to the point where we expect nothing less than excellence each and every time. And in this regard, the Radarlocks are no different. They’re light, robust, flex a bit (great for cyclists) and have amazing optics (as always). Whether you want them for racing or coffee shop runs, you can’t go wrong with these. You can buy these at your local bike shop or local dealer. The links above are affiliate links, and the small commissions help keep VeloNomad going. Cheers if you click through, and if not, that’s cool too! If I recall correctly, you have broken a pair of Oakley’s through normal use, some Pro M Frames, but in fairness, they were mine! 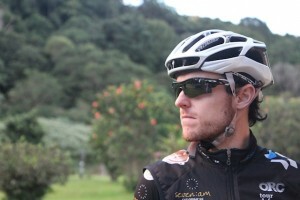 (although Oakley replaced the frame free of charge, well outside of the warranty period). Well my friend, my mashing of the arms together, on a pair of Pro M Frames – i.e. user ignorance of product limitations – isn’t normal use. And your vignette goes to show how awesome Oakley are – free frame replacement outside of warranty due to silly friend breaking said lense. And I apologise for getting the count wrong, although you can understand after getting past 10 pairs, it all becomes a blur.